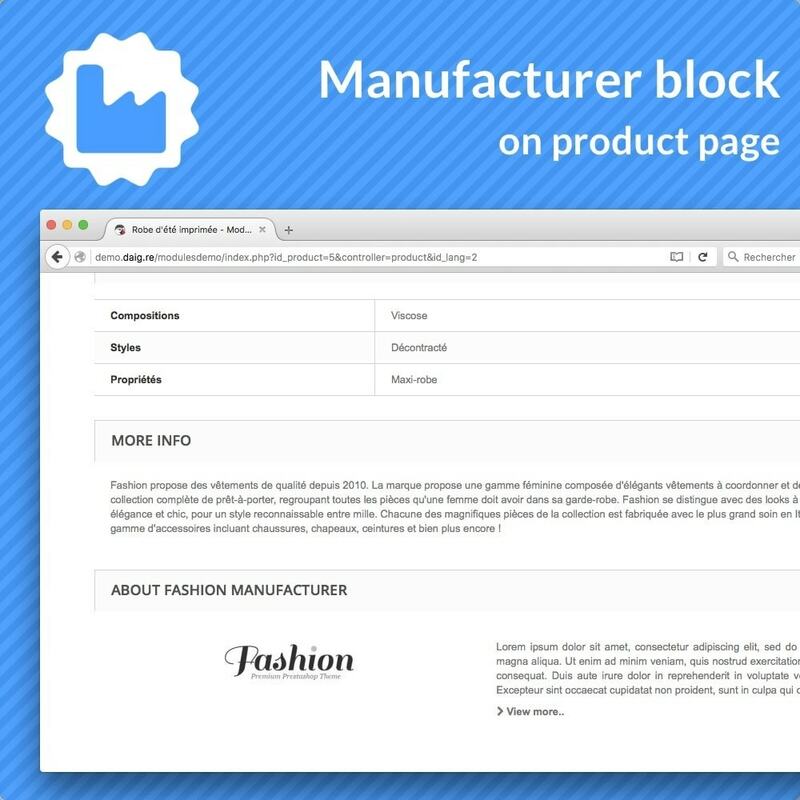 With this module, add a new bloc on your product pages with manufacturers logos and descriptions. 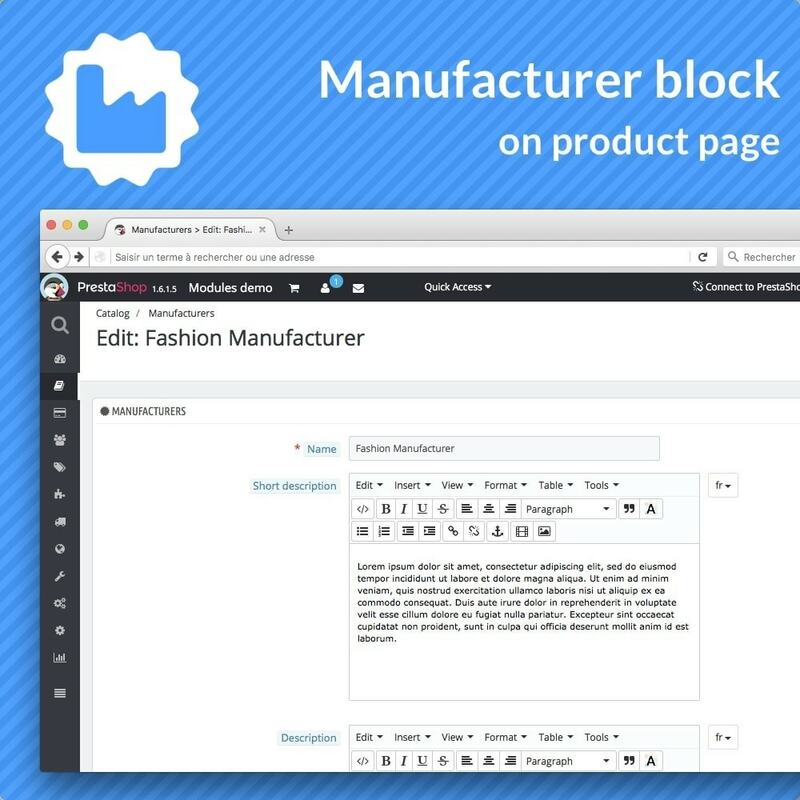 Contribute easily to improve the quality of your product pages, and your shop SEO, without copy and paste informations. 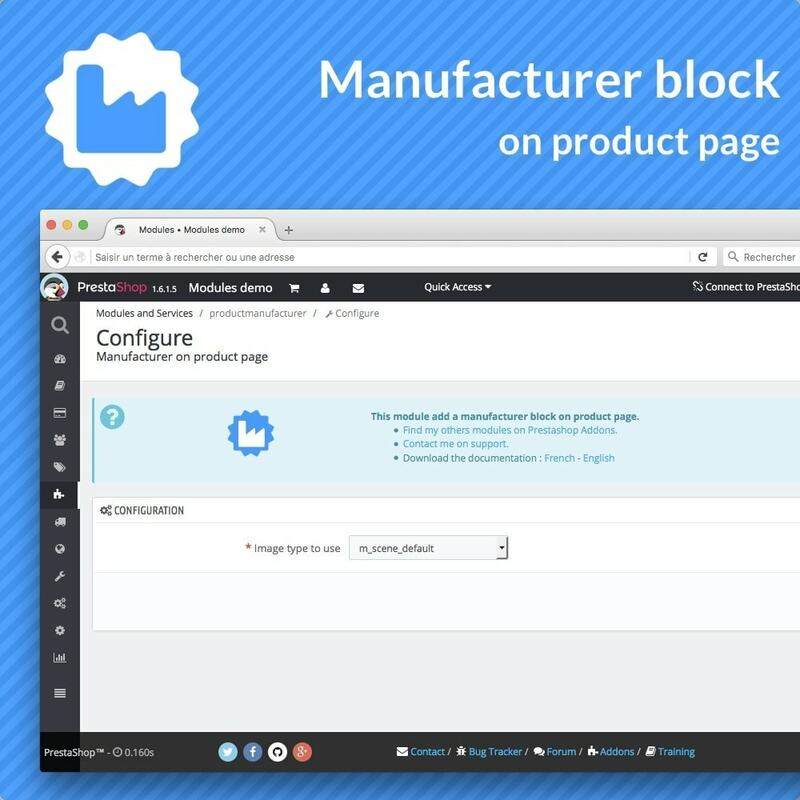 Once the module is installed, the bloc is added automatically when product manufacturer is associated with your product. Add a logo, a description and a link to other product from manufacturer. Work even if url rewriting is enabled or not. Reassure your customers by highlighting recognized brands , with a known logo or a simple description that you previously entered in Catalog -> Manufacturers.